Zsa Zsa Gabor Readmitted to Hospital for "Massive Blood Clot"
Paramedics rushed to the Beverly Hills mansion of Zsa Zsa Gabor Friday morning, after the ailing actress's private physician found a "massive blog clot," TMZ.com reports. The actress was then transported to UCLA Medical Center where she is receiving treatment. Gabor's husband, Prince Frederic von Anhalt, told TMZ that the actress had a "bad infection" in her right leg and "no blood flowing" in her left leg. 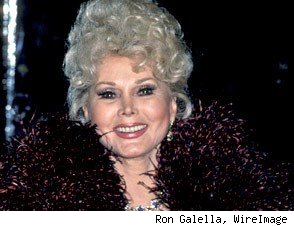 It was reported that Gabor complained about pain and swelling in her legs this morning and called in her private physician for a house call. When the doctor arrived he found what appeared to be a "massive blood clot" and called 911. Gabor's trip to the hospital on Friday is her fourth visit in recent months. In late August, she was found unresponsive at home and rushed to the hospital. Earlier that same month, the 93-year-old underwent surgery to remove blood clots. After the surgery, a priest read Gabor her last rites--but she made a recovery and was released. The actress broke her hip in a July 17 fall at her home in Bel-Air, California. The actress's condition began to deteriorate after hip replacement surgery a few days later, and she remained hospitalized for the following three weeks. Gabor has been partially paralyzed since a 2002 car accident and had a stroke five years ago. Her publicist, John Blanchette, describes her as "pretty much bedridden and wheelchair-bound for the last eight years." 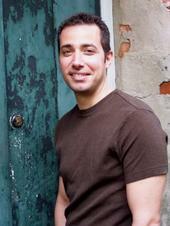 With popular books like 70x7 and Gay Is A Gift, writer Salvatore Sapienza is a man in demand. His work has been lauded by critics and the honesty with which he writes is a big reason why. Sal writes from the heart and the stories he tells resonate with readers because there is so much humanity contained in the words he chooses. So much so that fans can relate to what he's saying because they can relate to him. A real, emotional, genuine storyteller, Sal makes the reader's imagination his own as he weaves stories filled with autobiographical material carefully wrapped into the magic of his work. Currently living in Saugatuck, Michigan, where he operates a popular bed and breakfast with his partner, he is a Brooklyn native who's lived all over, including New Orleans. In fact, Sal and his partner sold their last B&B in New Orleans just weeks before Katrina ravaged the city. Another personal friend, I've had the pleasure of meeting Sal in person and spending some quality time with him. His personality and his selfless gift of unfettered friendship make him one of the most sincere people I've ever met. To call him special would be a true understatement. Just read his work and you'll see what I mean. He can be found online at http://www.70x7book.com/. One of the biggest and best remembered one hit wonders of the 80's, Spandau Ballet created a gem that became a classic with True. Their signature hit, this song has adorned so many class reunions, weddings, family gatherings, and reality TV shows that it's hard to imagine there's anyone in the world who hasn't heard it. True still sounds as beautiful and is as moving today as it was when it first hit the airwaves and climbed the singles charts. A real winner.